It was a lazy Saturday night at home, and we had no dinner plans. It had been awhile since the Snob’s last adventure, so he thought about bringing home a pie to accompany that evening’s Netflix flick. 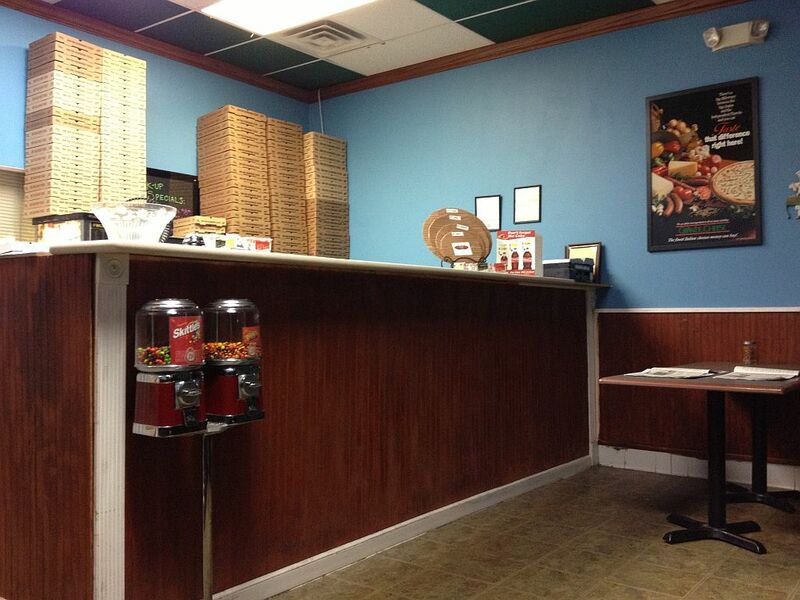 I decided to try Matteo’s Pizzeria, a place once close to home at The Factory in Franklin. They have since moved across town to the top of Carothers Road and are now legally in Brentwood. Some old friends of ours were really fond of this place, and I vaguely recall trying Matteo’s once about ten years ago. I had no favorable recollection and obviously wasn’t drawn back at the time. Our son, The Philosopher, was home, and the pie was to be for us since Mrs. Pie had other food plans—that is until I pulled into the strip center parking lot. She called to say she wanted pizza, too! I entered the tiny joint and explained my situation. They very kindly kept large cheese pie #1 in the warmer while they started on large cheese pie #2 which they produced rather quickly. 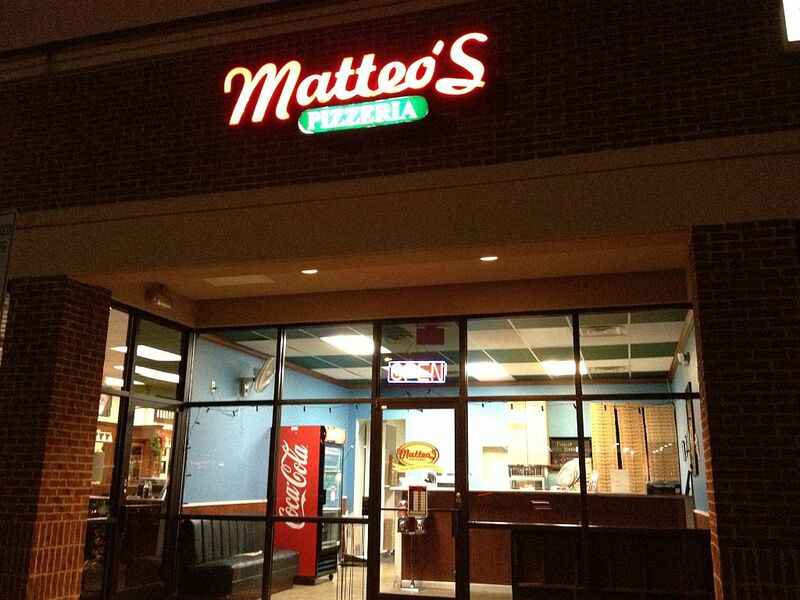 Matteo’s is a single location, family-run joint that is set up for take-out. There is one small table there; however, the place is so small you’d feel like you were eating in somebody’s office. I must give them kudos for offering a gluten-free pizza for those whose dietary requirements prevent them from enjoying regular pie. I got the pies home quickly making a mental note to start with the fresher one. Opening the box revealed a crisscross cut—not a Snob style preference. I also sighed disappointedly because the pie had a glazy, slimy sheen reflecting off the burnt cheese—a look that is usually a signal of impending doom. 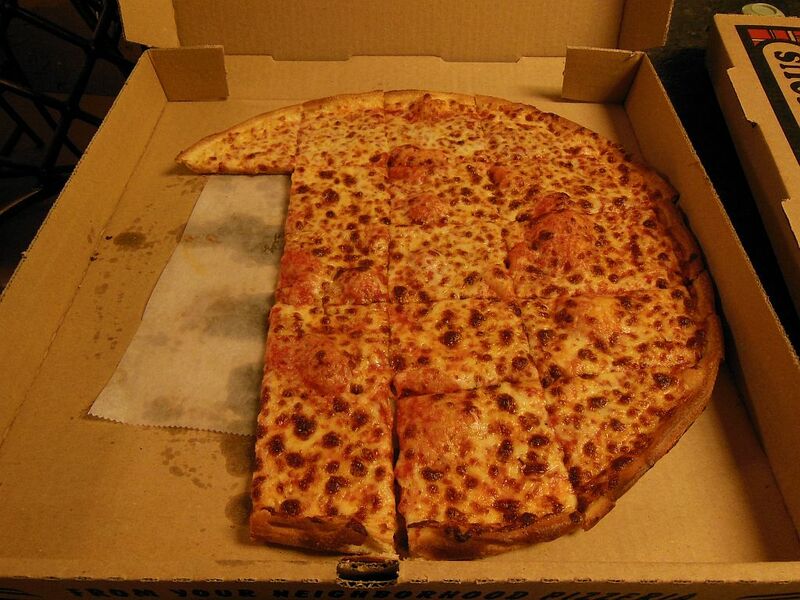 Too much cheese and soft-looking dough added to making this pie about as classic-looking as an AMC Pacer. The taste didn’t fare much better than its look. I just hate eating slimy, burnt cheese. In fact, there was so much cheese that it overwhelmed the sauce leaving it with no identity of its own. The crust was as soft as it looked–not crisp at all–with a rather odd taste. My lone compliment would be their use of fresh ingredients. For some reason, Mrs. Pie wasn’t so disappointed. She thought it tasted right for NY-style pizza, and she would have liked it had it had half the amount of cheese. She also thought that the crust was too salty and the sauce was in need of oregano. In summary, plain and simple, I didn’t like it and would not want it again. We should have made our own “Movie-Night” pizza, the recipe for which Mrs. Pie and I plan on revealing soon!